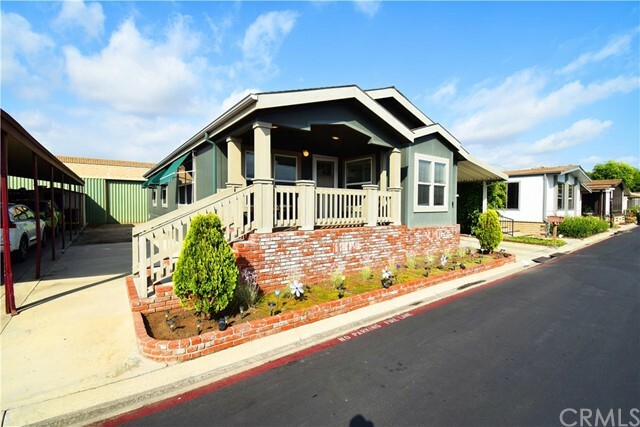 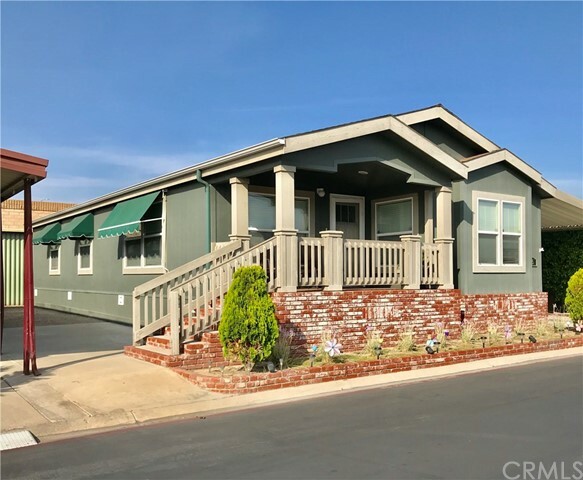 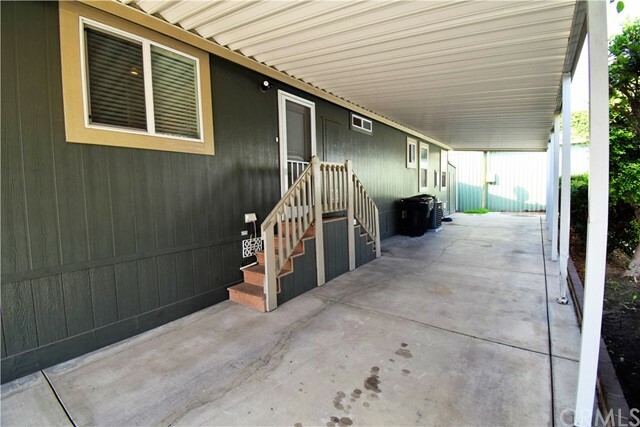 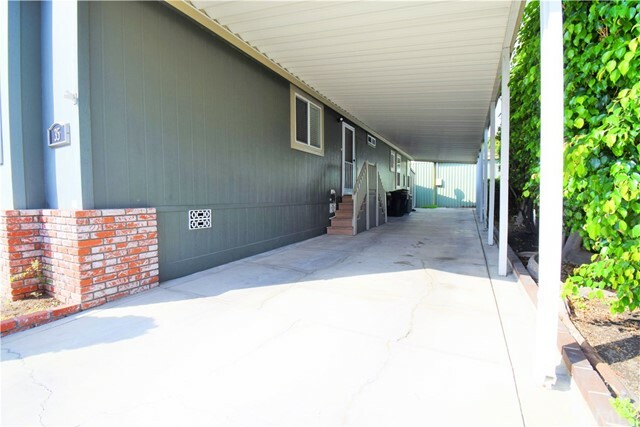 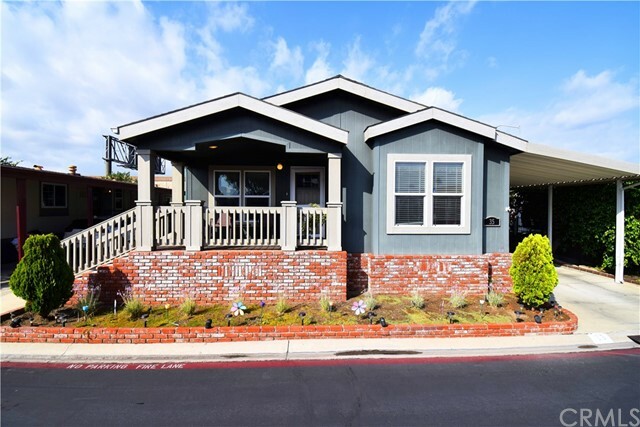 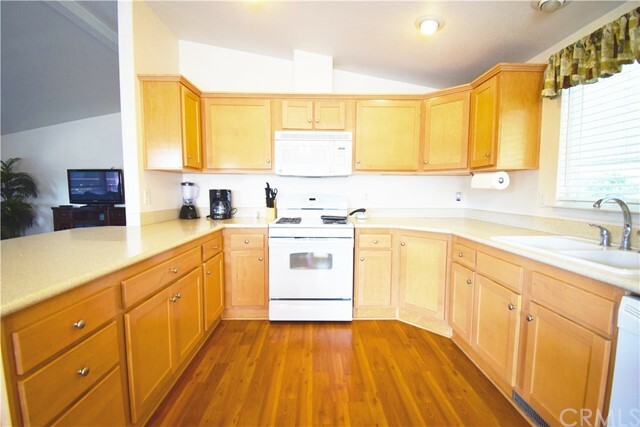 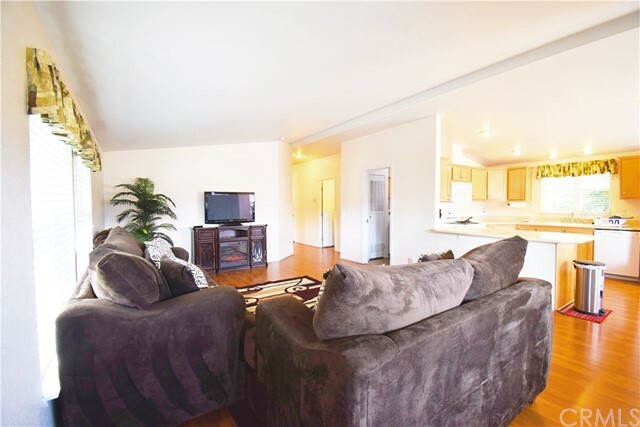 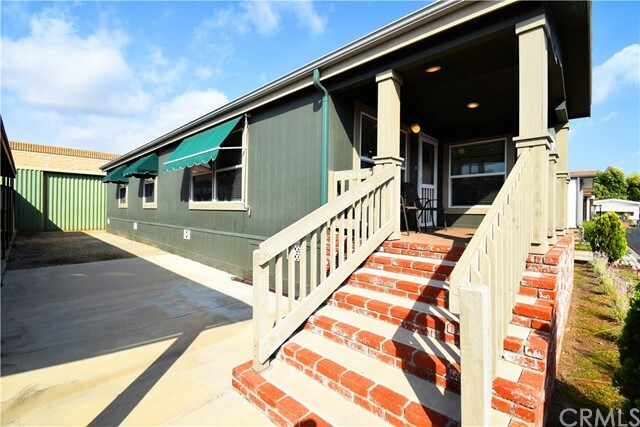 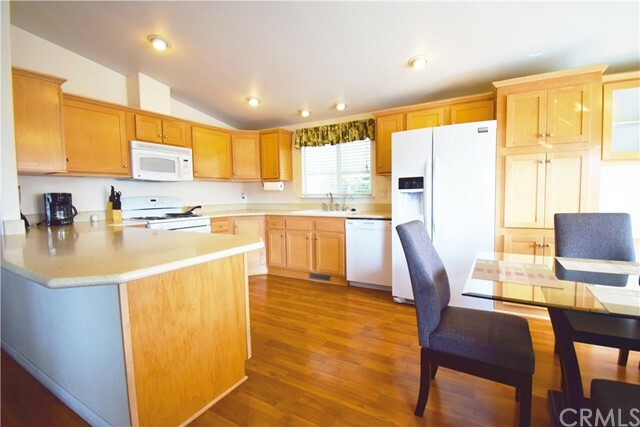 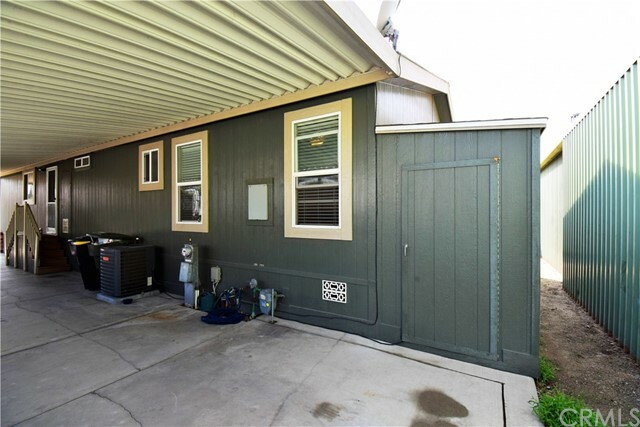 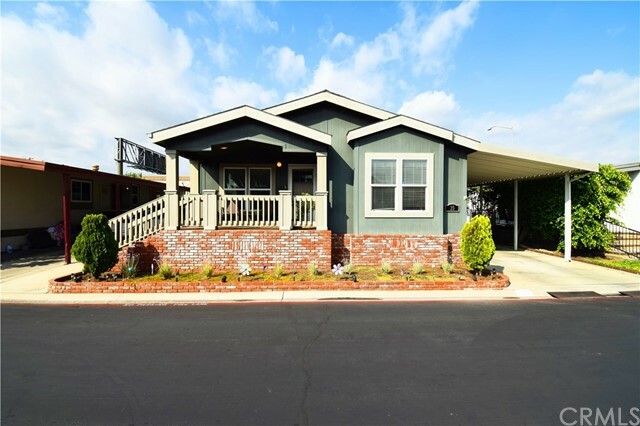 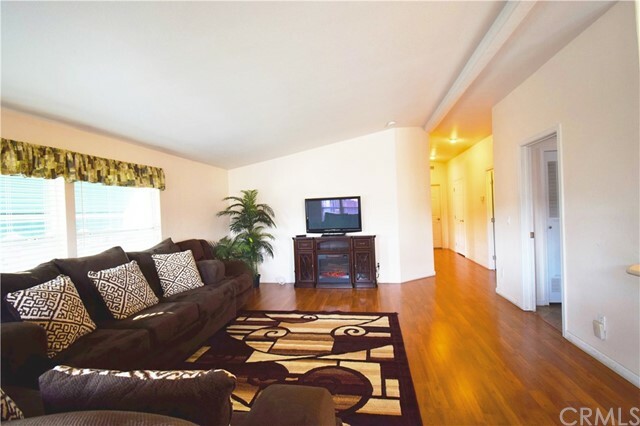 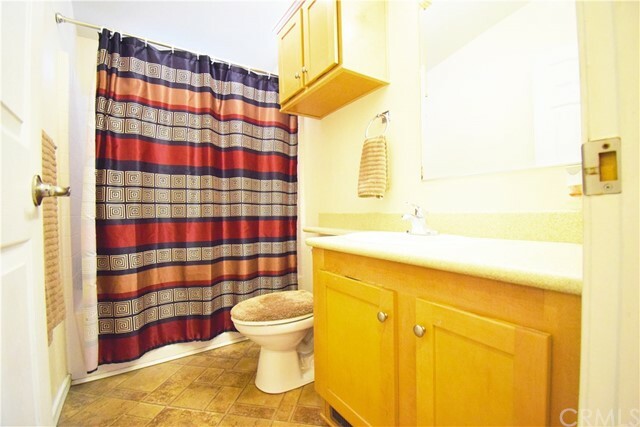 Beautifully upgraded 3 bedroom 2 bath manufactured home located in the quiet community of Anaheim Shores. 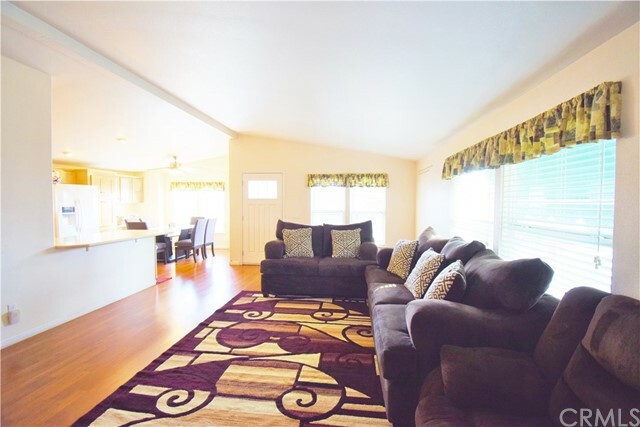 Built in 2008, this fabulous home features vaulted ceilings, dual paned windows, and newer laminate floors. 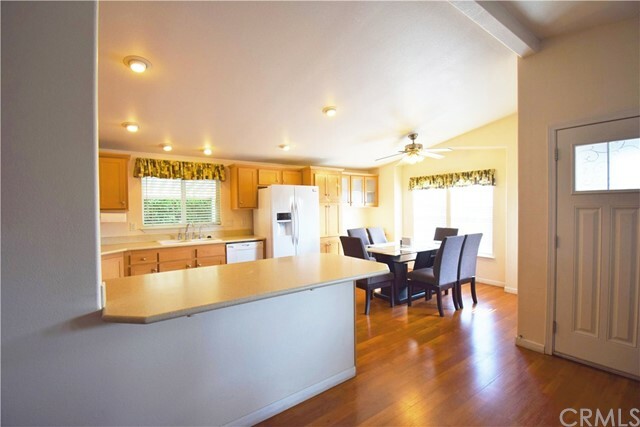 The large kitchen which is open to the spacious living room, features recessed lighting, Corian countertops, an abundance of cabinets and counter space, a built-in desk, and a separate dining area. 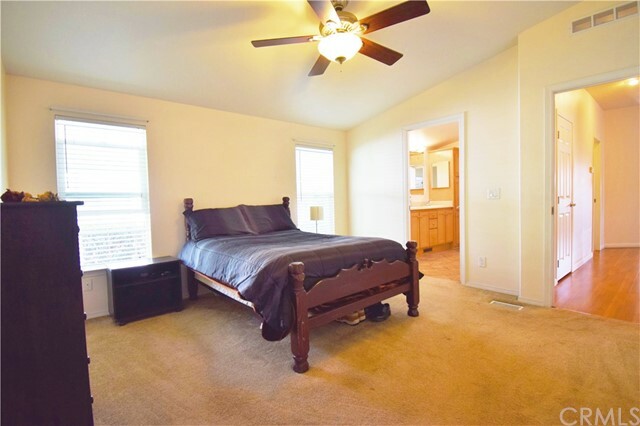 Huge master bedroom boasts a walk-in closet, ceiling fan, and en-suite bathroom with his and hers sinks and lots of storage. 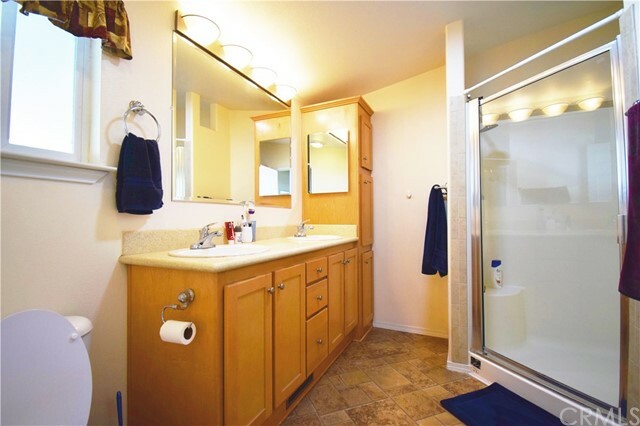 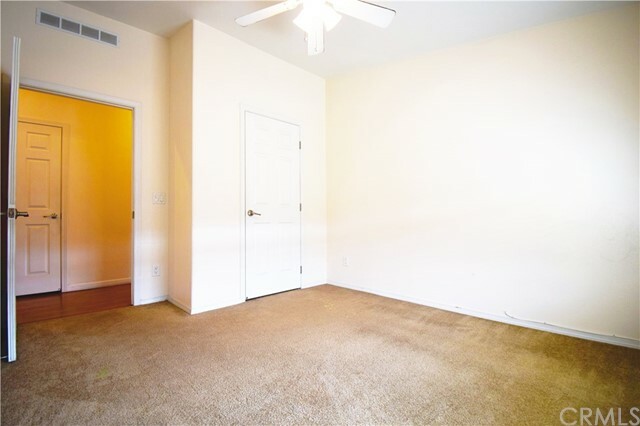 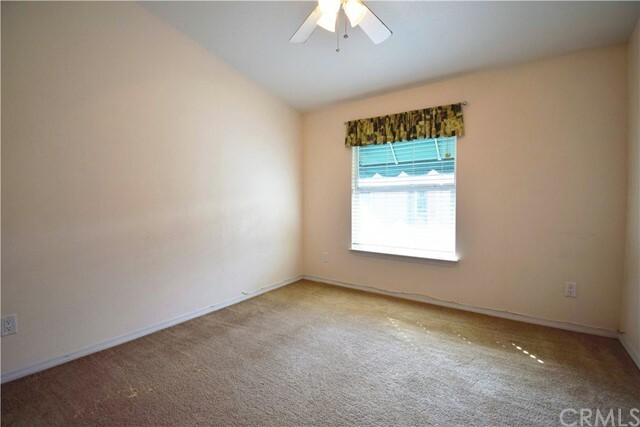 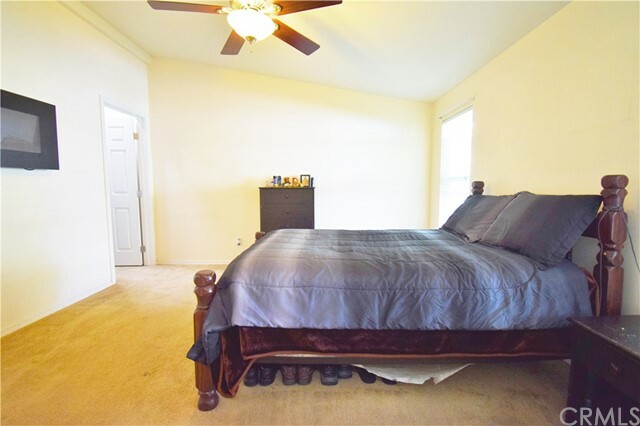 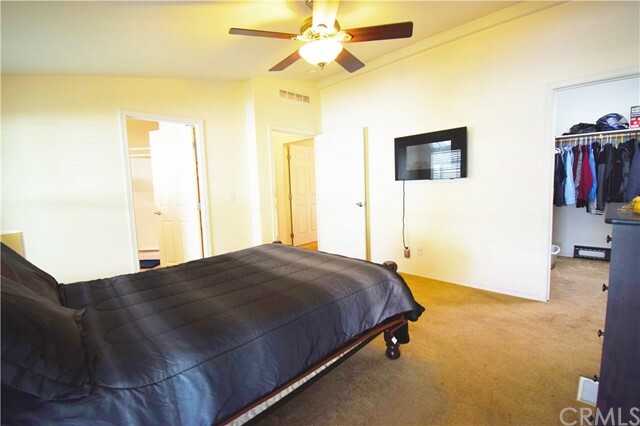 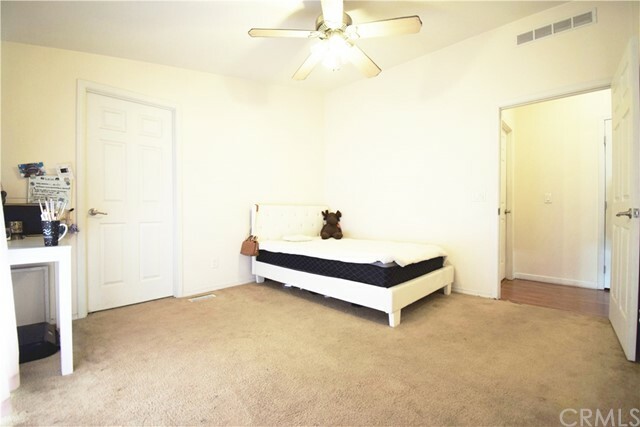 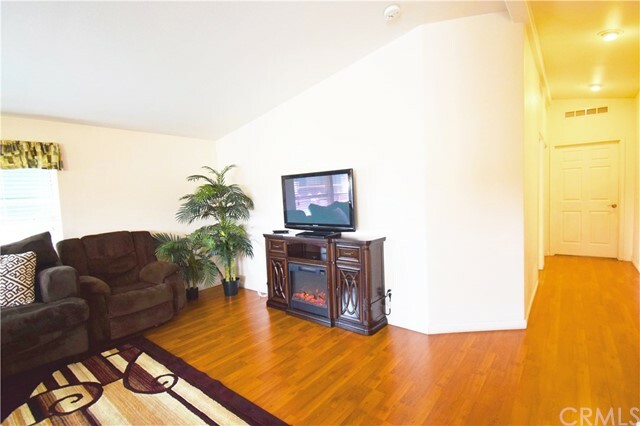 The additional bedrooms are spacious and include ceiling fans and roomy closets. 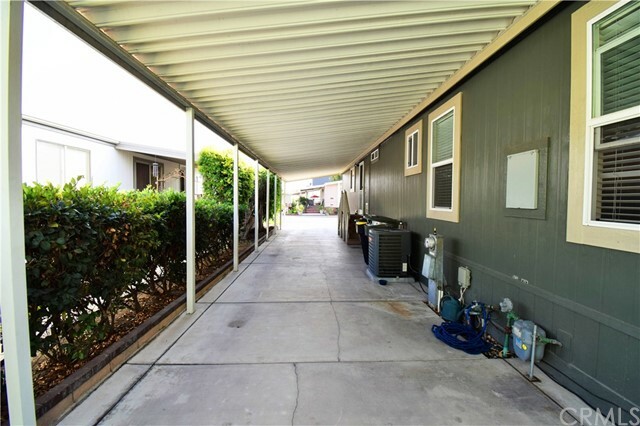 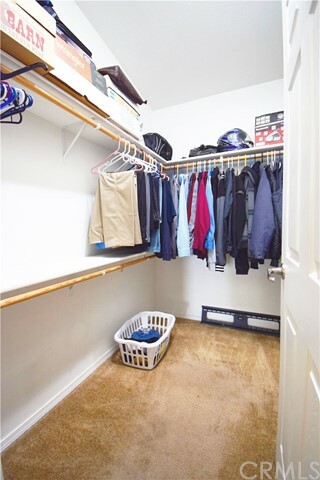 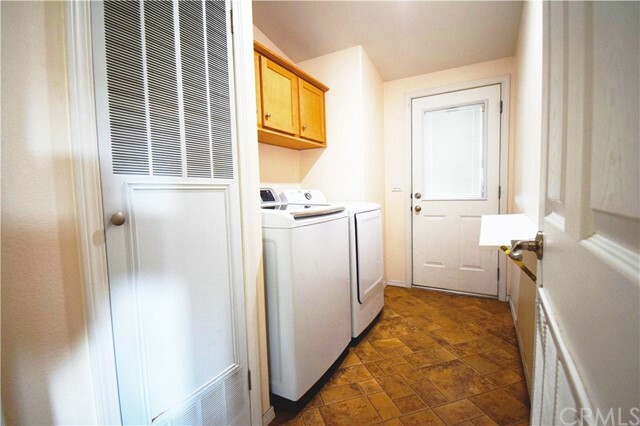 Other notable amenities include central A/C and heat, separate laundry room with access to the carport that has ample parking for up to 3 cars, attached storage unit, and huge side yard. 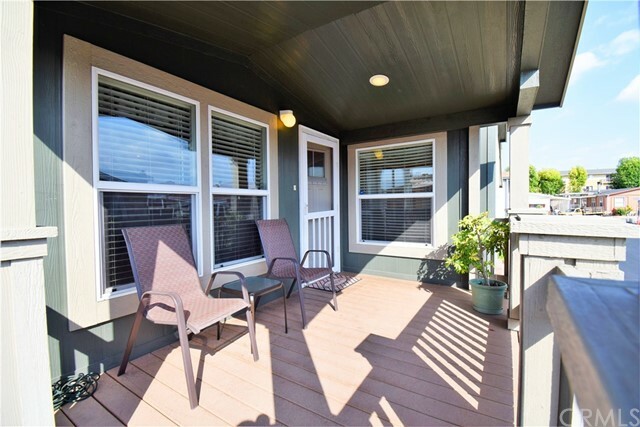 Fabulous curb appeal with an inviting covered front porch. 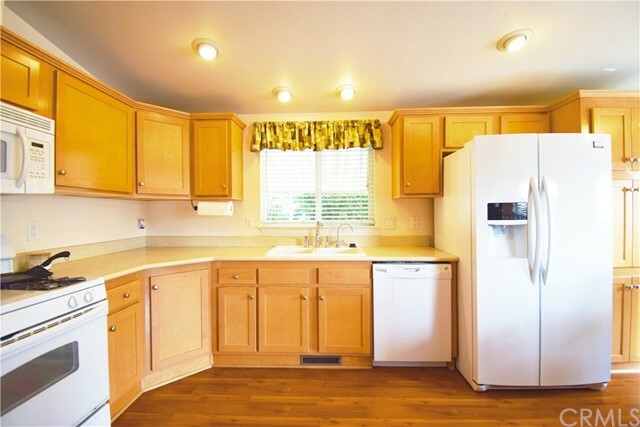 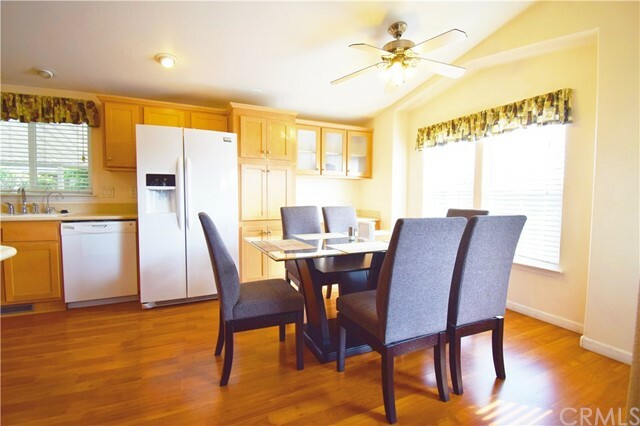 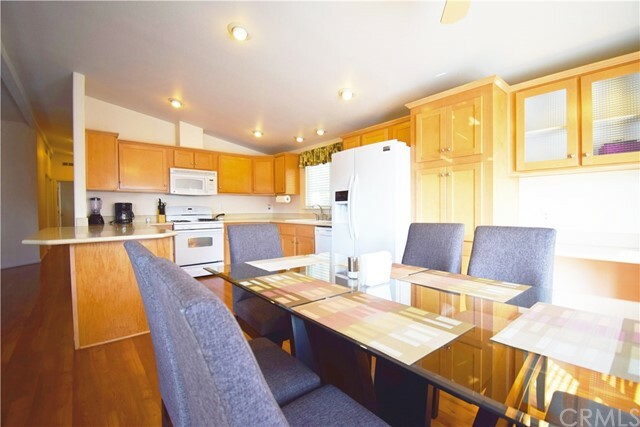 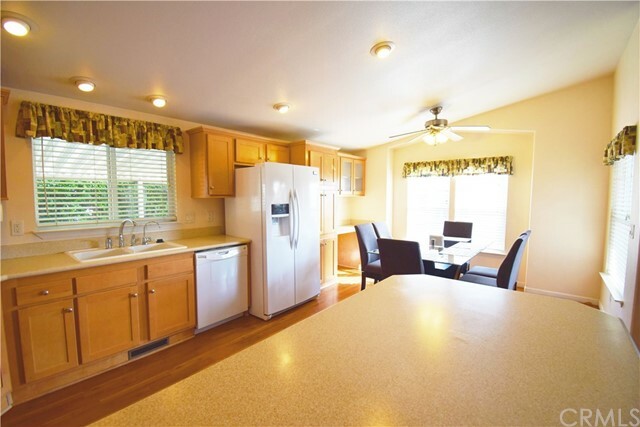 This home is located in a family and pet friendly park. 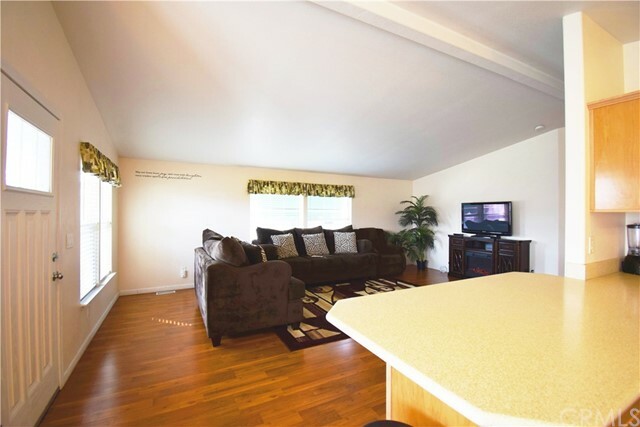 Definitely a must see!